Browse the companies, products and services below to access special deals exclusive to TMA members. 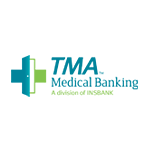 TMA Medical Banking , a division of INSBANK, provides customized commercial financing that provides access to decision-maker, efficient turnaround times and competitive terms via knowledgeable commercial bankers with medical lending experience.Banking with TMA Medical Banking benefits the education, legal, political and other goals of TMA. Contact Blake Wilson at 615.515.4272 or bwilson@tmamedicalbanking.com for more information. 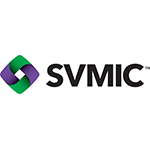 SVMIC is a physician owned and operated mutual insurance company that was formed 40 years ago with the aid of the TMA and its members. SVMIC provides medical professional liability insurance (MPLI) to physicians and is the endorsed Malpractice Carrier of the TMA. This partnership was developed to address the unique challenges that face physicians and medical practitioners in today's financial environment. At Strategic Financial Partners we help them to plan for their personal financial futures, their practices, and their families. We are TMA's preferred partner for comprehensive investment management, financial planning, tax strategies, retirement, and estate planning. 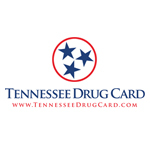 Help patients get the best possible pricing on their medications by distributing the Tennessee Drug Card, a free program for discounts on prescriptions. Contact natalie@tennesseedrugcard.com for questions or to get your free kit. Accepted at 56,000 pharmacies nationwide. The University of Tennessee, Knoxville’s Haslam College of Business Physician Executive MBA program is a one-year program exclusively for physicians. It emphasizes career impact and return on investment through leadership development and a curriculum that emphasizes applied assignments, innovation, and financial acumen. It has a robust and active alumni community with over 650 graduates since the program’s inception in 1998. Making sure your financial transactions are priced correctly and qualified correctly, FIS Global payments is evaluating all TMA members’ merchants costs to ensure you are getting the best available industry rates. FIS is both a Merchant Acquirer and Merchant Processor. This enables us to eliminate third-party costs and pass the additional savings onto TMA members. Contact Deb Besch with any questions and/or statement analysis of your current processing rates.